This post was originally scheduled for yesterday but my days have been nuts! I thought I'd have more time to write Sunday and Monday but it just didn't happen. Sunday afternoon/night I was in the city for dinner and a Billy Joel concert with my family (which was so fun) and then Monday I took off from work, but was out running around, getting my hair done, and just doing things other than sitting down to blog early in the AM. Now, it's Monday afternoon and I'm finally at a place where I can focus on my writing. Meanwhile, I'm truly exhausted from the weekend and the concert. UGH. The good news is it's finally October, my favorite month of the year. I am ready to really embrace the month and get myself on track. That being said, I think it is a perfect time to break down all my favorite items related to Fall! 1. 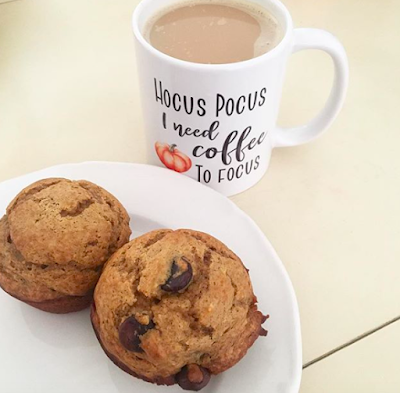 Fall Mugs: Etsy is my favorite place to find adorable Fall mugs and this year I scored the 'Hocus Pocus I Need Coffee to Focus' mug from SweetMintHandmade. She has the best mugs and I definitely need a few more. 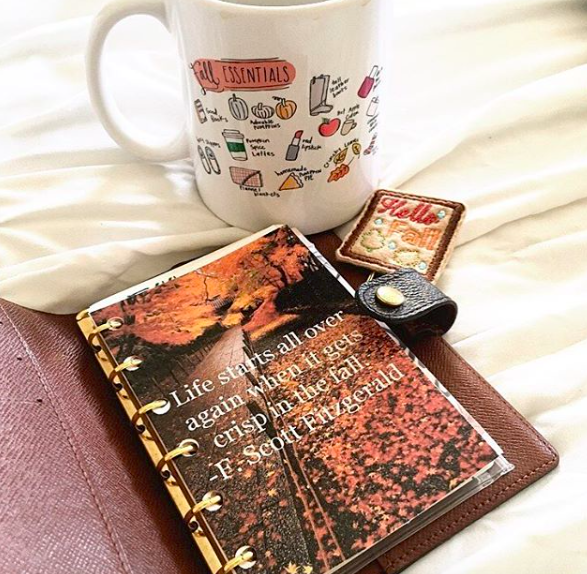 I also really want the Stars Hollow Mug from Chalk Full of Love because there is nothing more Fall than Stars Hollow. 2. Pumpkin Decor: I love all of my Fall decor, but this year I went BIG with pumpkins of all shapes and sizes. I found these adorable fabric pumpkins at Target and spread them all over my room. I also have some studded pumpkins from last year that look so gorgeous in any type of setting. You can do so much with fake (or real) pumpkins and really allow them to have a moment in your space. 3. Fall Beauty: There are few things I love more than a dark lipstick. I will be doing a full post on my current favorite Fall lippies but I feel like I need to mention them in this list. 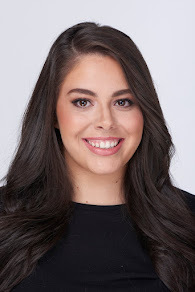 Kylie Cosmetics makes my favorite Fall lipsticks and she has been #1 for years now. There is something so chic about a dark, matte lip and it makes me feel so vampy and beautiful. Also, don't get me started on Fall nails! If you've been a reader for years, you know how much I appreciate a Fall manicure. 4. Clothes and Accessories: It's no secret I love accessories so when I combine that with my love of this season, you know it's going to get out of hand. 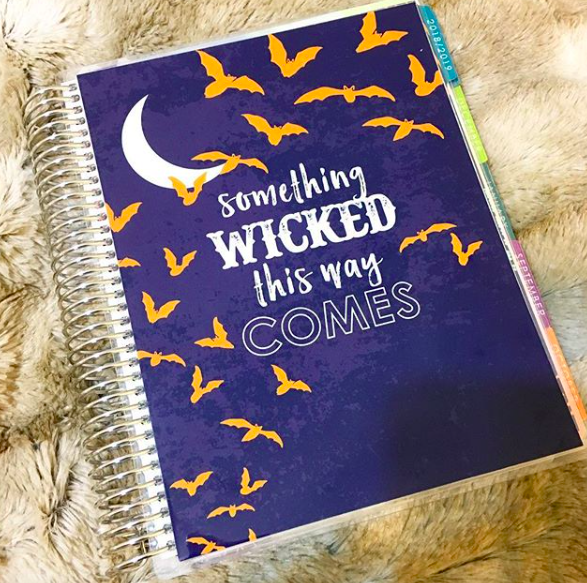 Whether it's a new planner cover/dashboard *like pictured above* or my Pumpkin Spice Alex and Ani Bracelet, I'm in love with all things Fall themed. I ordered this Hocus Pocus shirt as well as a 'Leggings, Boots, Pumpkin Spice' shirt from the Pink Lilly Boutqiue. 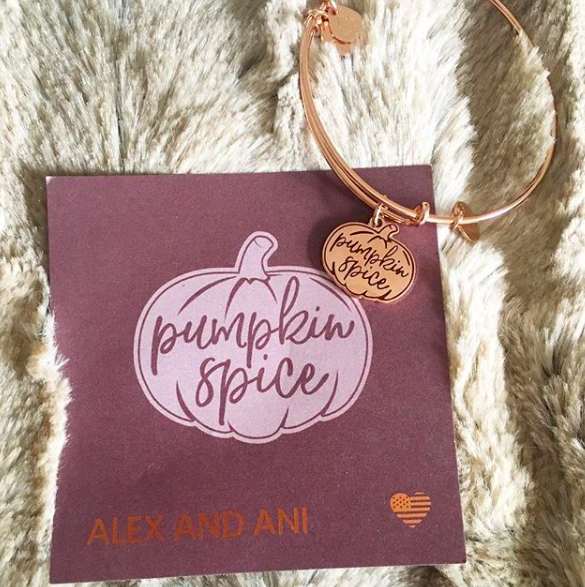 What are your Fall favorites all season long?